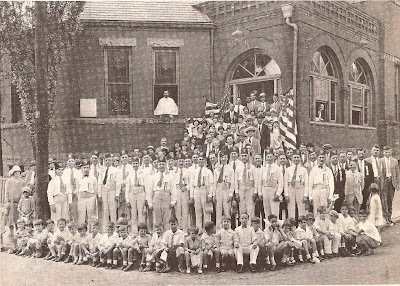 Year 1924 The Ahepa Patrol of Atlanta, Ga., Chapter No. 1 at the Atlanta Greek Orthodox Church, with Ahepans, members of the Greek community, and children of the Greek School. 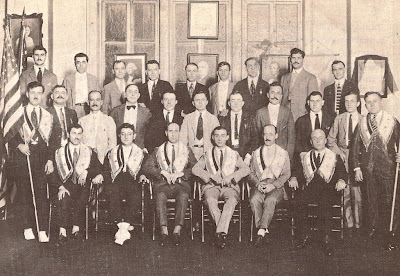 Ahepa Year 1922 The Mother Lodge with officers and members of Atlanta, Georgia Chapter No. 1 at one of the first Chapter Meetings. 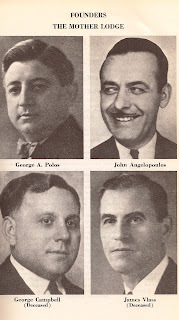 ----- The above photographas are courtesy of the ORDER OF AHEPA - Taken from the book "The History of the Order of Ahepa (The American Hellenic Educational Progressive Association) 1922-1972" by George J. Leber, Executive Secretary of the Order of Ahepa. Published by the Order of Ahepa, Washington, D.C. 1972.
by G. F. Abbott, B.A. 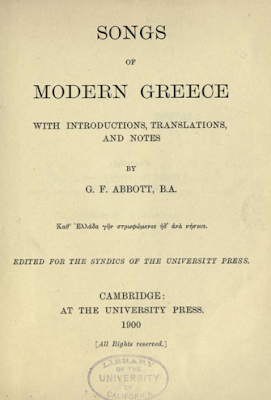 PREFACE "In preparing this edition of modern Greek songs my object has been to produce a work of interest both to the lover of folk-lore in general, and to the classical scholar in particular. I have aboided, to the best of my knowledge, including any poems previously published in Western Europe, and this limitation has naturally compelled me to reject pieces often of equal and sometimes of superior merit to any contained in the present collection. On the other hand, I have endeavoured by adding an elaborate commentary to render the collection, such as it is, more useful than a mere compilation. 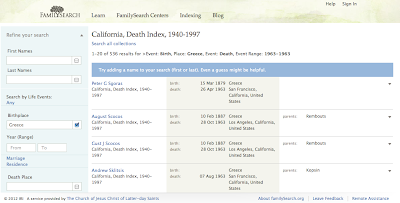 . . "
All published in both Greek and English.